On behalf of the Over My Shoulder Foundation Project, I would like to introduce you to Mentorology, which is the art of mentoring. Mentoring in music and design is the creative launching pad for the OMSF mission! When we meet a person that has the same vision that we have in our own design careers, the art of mentoring instinctively teaches us to engage and ask, “How can I help this person to become a high performer?” We should think about the possibilities and advancements that this person could make in his or her career and then offer guidance and advice along the way. A great example of Mentorology can be seen on NBC’s newest reality competition series “Fashion Star,” in which contestants compete to earn the next biggest name in the fashion industry. What we love about the show is that the contestants are mentored throughout the experience by fashion moguls Jessica Simpson, Nicole Richie, and most recently John Varvatos. 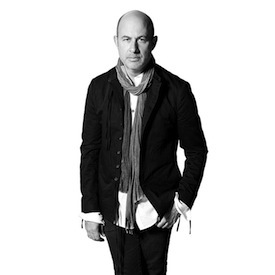 Throughout his career, Varvatos has served as Head of Menswear Design for all Polo Ralph Lauren brands and even launched his own clothing line. The addition of Varvatos as a mentor on “Fashion Star” provides contestants with a more diverse look at the fashion industry. These famous mentors not only impact the lives of the contestants that they are working directly with, but also the viewers as they offer some powerful advice that anyone with aspirations in the industry could benefit from. Another aspect that makes this show so unique is that the winner of each episode has the opportunity to sell his or her designs to viewers through the show’s retail partners: Macy’s, Sacks Fifth Avenue, and H&M. Contact us at OMSF for more success stories with famous mentors. Or, if you want to make a difference with our non-profit organization but are not sure how to help, consider making a donation.